As specialists in cafés barriers and accessories we offer you three excellent systems to fit in all environments and budgets. 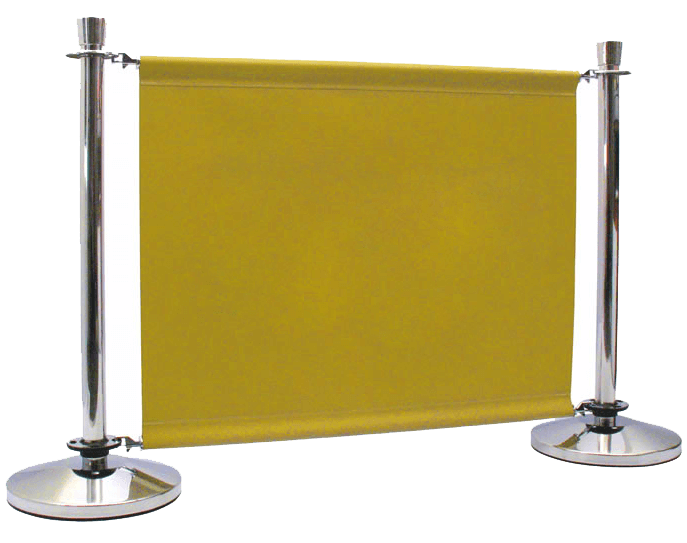 Each of our barrier systems will bring style and sophistication to your business. It is also a highly effective promotional tool which serves a practical purpose. We offer barriers in three sizes: 1.2m, 1.5m and 2.0m. 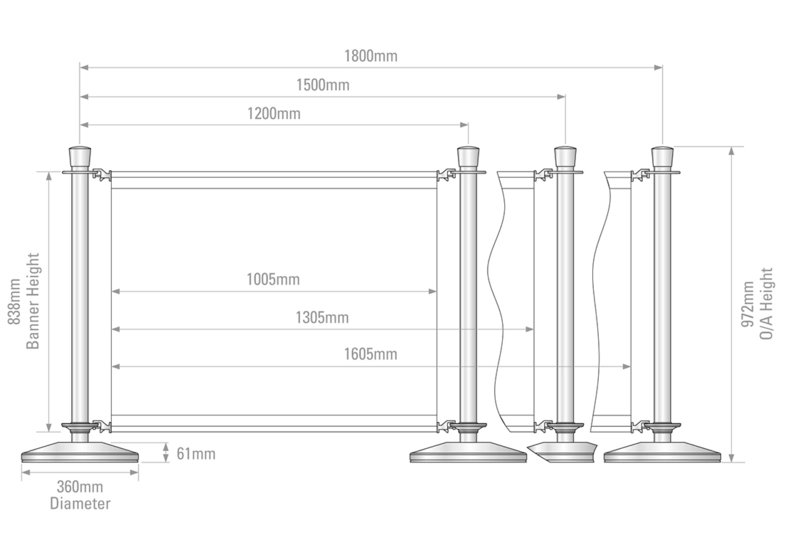 You can extend your café barriers with three posts and three cross bars created to complement all three systems and to ensure strong, stable and secure screens. You can chose from six different materials including PVC and canvas. In addition to a wide range of café barriers in our offer we can also recommend you useful accessories that will increase the stability of your newly acquired products or even completely change their character. They will enable you to easily adjust your barriers to fit all your needs. Our PRIMO café barrier system is a high-end product ideal for restaurants, hotels and other outdoor areas. 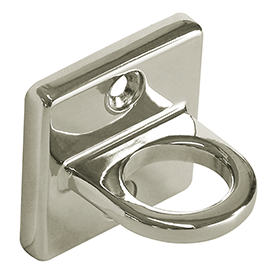 Thanks to its chrome finishes and solid bases you can be sure that it will be in perfect condition for many years. MEDIO is a great, universal product because thanks to its chrome bases and elegant looks it is ideal for both indoor and outdoor use. ESPRESSO café barrier system is made of strong and hard-wearing materials that make it practical and perfect for almost any location. You can be sure that it will maintain its properties for many years. Check out our wall mounting brackets! They enable you to attach your café barriers to the building wall in order to secure them and increase their stability. If you are looking for more elegant and sophisticated look for your café or you are simply bored with your present café barriers then you should check out our selection of barrier ropes! What are the available sizes of your café barriers? Can you help setting the layout?